Editorial Photographers UK - Reuters: Is There An Editor In the House? There’s nothing new about controversy over fake or staged photographs, especially in wartime. 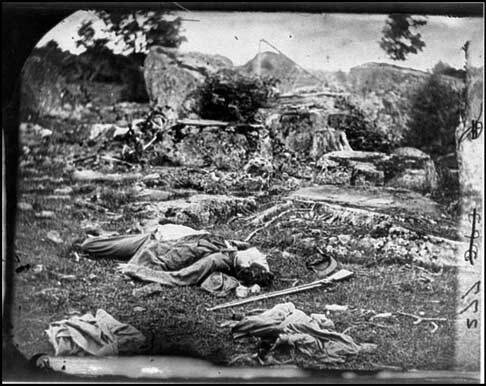 From Roger Fenton’s Crimea, through Mathew Brady’s American Civil War, Capa’s Spain, Khaldei’s Berlin, Rosenthal’s Iwo Jima and beyond, the veracity of the combat image has frequently been questioned. What’s new in the digital age is that there are a lot more people with cameras in war zones, fakery is easier and it’s a LOT easier to get caught. So it was probably only a matter of time before somebody got badly caught out peddling dodgy images, and inevitable that the crime would be first revealed on one of the many websites which specialise in scrutinising the media. It’s worth bearing in mind that most if not all of these sites aren’t interested in photographic veracity – or even photography – for its own sake. They have a very clear – and often shared – political agenda. For instance they were nowhere to be seen during the departures of photographers Brian Walski from the LA Times or Patrick Schneider from the Charlotte Observer, nor the Press Association’s altered weather pictures scandal last year. That’s hardly surprising: no political capital in any of these. But to paraphrase George Orwell, just because someone wears tin foil on his head and thinks the media is controlled by the little men behind the radiator that doesn’t mean he’s always wrong. The recent controversy began of course with allegations of media bias in coverage of the Israeli Defence Forces’ bombing of Qana almost two weeks ago. The charge was led by the EU Referendum blog, run by one Dr Richard North out of the UK. North, who probably believes Mel Gibson’s Conspiracy Theory is a documentary, indulged himself by scouring the web for images from Qana in an attempt to prove that photographers there had colluded with Hezbollah in stage managing events. But in the end he managed to prove nothing other than that he has a rather peculiar mind-set, knows nothing about photography in general, and even less about how photojournalists operate in combat zones. It was trivially easy for Shane Richmond, News Editor at the Daily Telegraph to debunk his attempt to prove that at least one of the Qana images was not just staged, but also digitally altered. In the end North actually achieved little, only convincing those who would naturally agree with him anyway; his main achievement was to spark off a spectacularly vitriolic brawl at the Guardian’s Greenslade blog. And there the matter would have lain, another skirmish in the ongoing war between the blogosphere and the traditional media. It’s pretty hard to imagine a major news agency making a bigger balls-up on a bigger story at a worse time. The first doctored image from freelance contributor Adnan Hajj featured manipulation so obvious that at first glance it was hard to believe one’s eyes. Reuters moved quickly to protect themselves issuing a “kill order” on the image and announcing that they were severing all ties with Hajj. Following the revelation of a second faked Hajj image Reuters’ spin machine moved into top gear, pulling all of the photographer’s material, and explaining the lapses by a relaxation of editing procedures to speed up filing from the combat zone. Specifically they said that Hajj’s pictures had been filed directly to the global picture desk, rather than the Beirut bureau. But this is spin as laughable as Hajj’s Photoshop work. None of the bloggers who identified the falsification were anywhere near Lebanon. An editor didn’t need to be in Beirut to see the fakery: he just needed to be awake and sober. Most absurd was Reuters’ stated plan to prevent any further such incident: a senior photo editor will review all future Middle East images. And where are the senior photo editors? Why, Global Photo, which is the department that failed so miserably. Reuters spokesperson Moira Whittle has refused to say whether any action will be taken against editors involved in the botch, but really we all know what’s going to happen. Reuters will dump the blame on Hajj, not that he doesn’t deserve all he gets for destroying his own reputation, damaging that of his employers, and putting at risk the lives of his colleagues: who’d want to be a photographer caught in an IDF sniper scope after this? The UK Press Gazette quoted Daily Telegraph picture editor Bob Bodman describing in appropriate terms what should happen: “I can’t believe the Reuters desk editor has not been more on the ball. The editor should have a rocket up his backside.” But in reality the worst anyone can expect is to be put on double secret probation for a couple of months. Bizarrely the whole botch was so bad and so public that a rival conspiracy theory began to emerge amongst some photographers: namely that no professional photographer would do such a thing, or at least not so badly. Therefore someone else must have altered the image, either a desk jockey at Reuters through incompetence or malice, or – most mysteriously – a third party. But this is the kind of distorted thinking worthy of the oddest of the conspiracy sites. The truth, disappointingly prosaic as it is for conspiracy theorists of every hue, is very simple. Dumb and dishonest photographers really do fake pictures badly, lazy and incompetent editors put them out, and blind and uncaring clients publish them. The latter, incidentally, have rather been let off the hook in all of this. Time was when clients’ own photo operations would edit incoming material, providing a further layer of protection against such incidents. So how come major news sites like ABC were able to publish the fraudulent image before being alerted to their error by the bloggers? In the midst of the hand wringing by the traditional media and celebrating by the bloggers, most, although not all, missed the heart of the story. How could a news agency of Reuters’ history and stature stoop to distributing work that was so laughably unprofessional? The answer is the usual one: it’s all about the money. A couple of years ago Reuters unveiled plans to reorganise the company in what was known as the “Fast Forward Plan”. A key element of this was the reduction of the main photo operations in London and Washington, with these services being centralised at the agency’s third hub, Singapore. By all accounts the Singapore operation had a less than stellar reputation for the quality of its output. But it had one over-riding advantage over the rival bureaus: it was cheap. How cheap? In late 2004 the Guardian, reporting on staff concerns at the moves, spelled it out: $660 million on staff reduction and $195 million on efficiency savings by 2006. It’s not as if they weren’t warned of the dangers. The National Union of Journalists at the time warned of “irreparable damage to the company’s reputation for editorial accuracy and integrity.” But what’s editorial accuracy and integrity, not to mention a 130-year-old reputation, got to do with it when there’s a buck to be saved? Or as in this case, 885 million bucks. So the whole fiasco was essentially a disaster waiting to happen and an inevitable result of Reuters own corporate policies: now the company faces the dilemma of how to salvage its tattered reputation while continuing to save money. Fortunately there’s an obvious solution. They simply need to follow their cost-cutting strategy to its logical conclusion, shut down the Global Photo editing operation and hand responsibility over to the bloggers. The latter have proved themselves more competent at the job than the agency’s current editors – best of all, they work for free. And you can’t get cheaper than that.